EdUCate! Math Academy - Educate! The EdUCate! 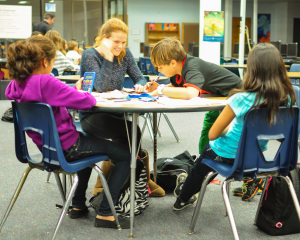 Math Academy began in 2012-2013 as a 6-week pilot program at Standley Middle School. Today, the EdUCate! Math Academy instructs students at both Standley Middle and University City High Schools and is projected to serve over 300 students in 2016-2017. 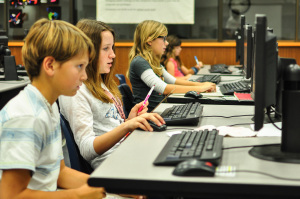 The middle school program serves 50 students per 15-week session (2 sessions per school year) and consists of teachers, peer tutors, Khan Academy online instruction, homework help and drop-in tutoring. The high school program meets 3 days per week and has a dynamic drop-in format aided by teachers, peer tutors and community volunteers. Last year, the high school math academy program served over 220 students. Read more about the EdUCate! Math Academy in our newsletter.